Let me start by saying I am a huge fan of Crumbs Bake Shop. I really love their cupcakes with the fillings in the center, they are so tasty! Some of my favorites are: Baba Booey, Carrot and Red Velvet. I really love the fact that they sell various sizes as well including a colossal which serves 6 to 8 people. 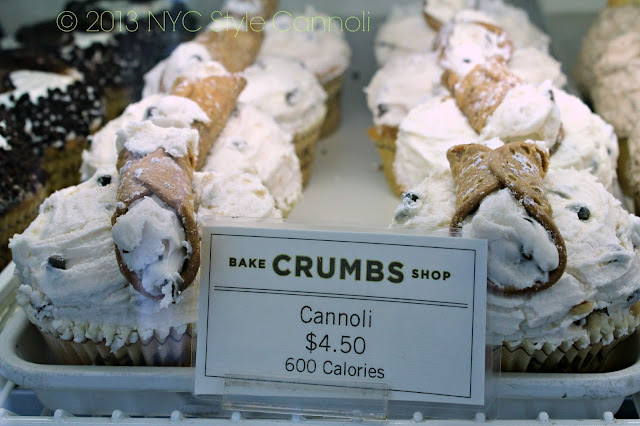 When I heard they had a cannoli cupcake, I was really dying to try it. When I visited the city in August, I made it a point to purchase and taste one. They looked great in the case. I loved the mini cannoli on top but probably not the 600 calories if I ate the whole thing (this did not happen). The topping was icing. Icing. No cannoli cream in a cannoli cupcake is not a positive thing. When I cut it open, I had hoped the cannoli filling would be in the center. Nope. Icing. 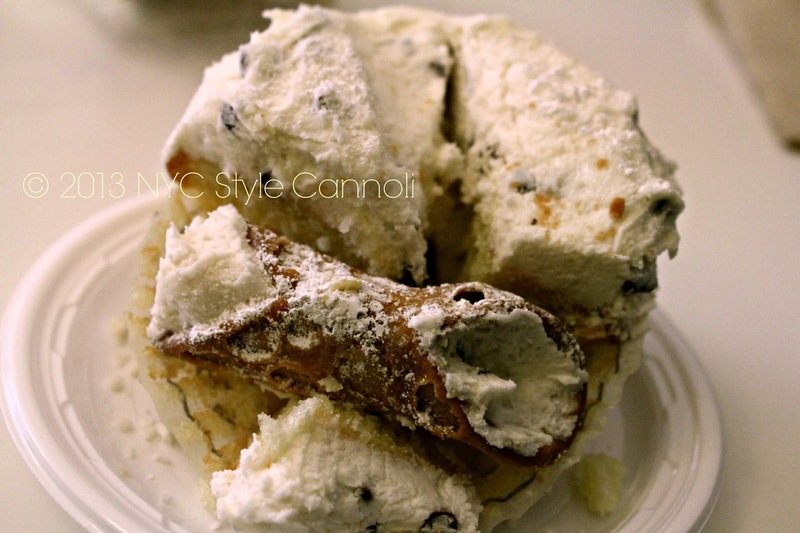 Then in the cannoli itself, more icing. I am sorry but I have had cannoli cupcakes that have had the real cannoli filling inside them. If you are not going to do this right, don't do it at all. 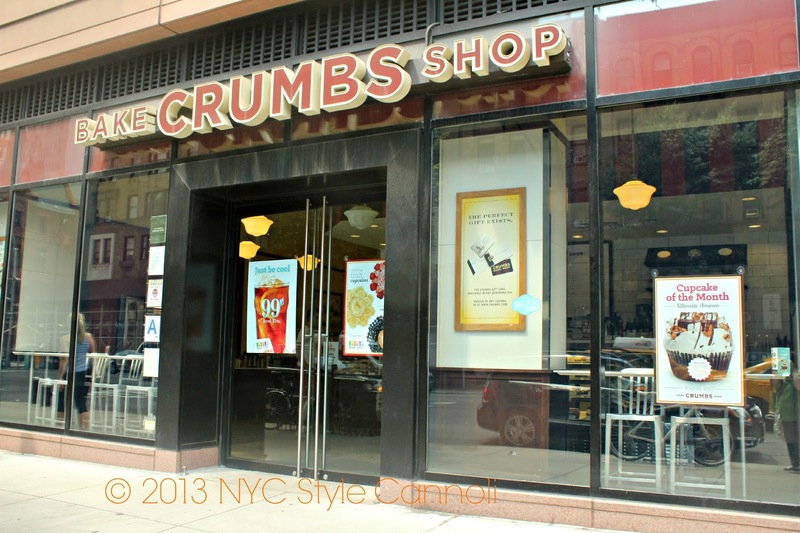 I was really disappointed in Crumbs, I guess I have to stick to the flavors I already like. If you are looking to try this, be warned. 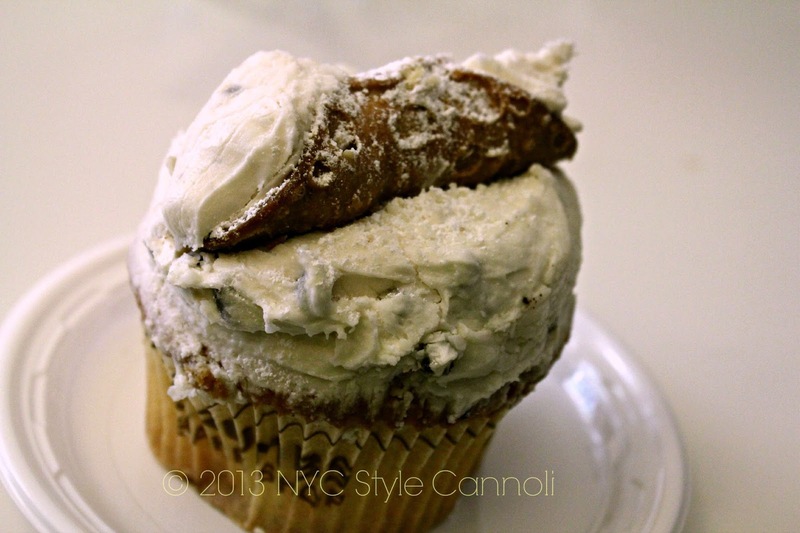 It's an Icing Cupcake, not a Cannoli Cupcake. Major thumbs down. Have you tried this cupcake? Did you like it ? I was pretty disappointed too Just wish they would have used the right filling Could have been fabulous!